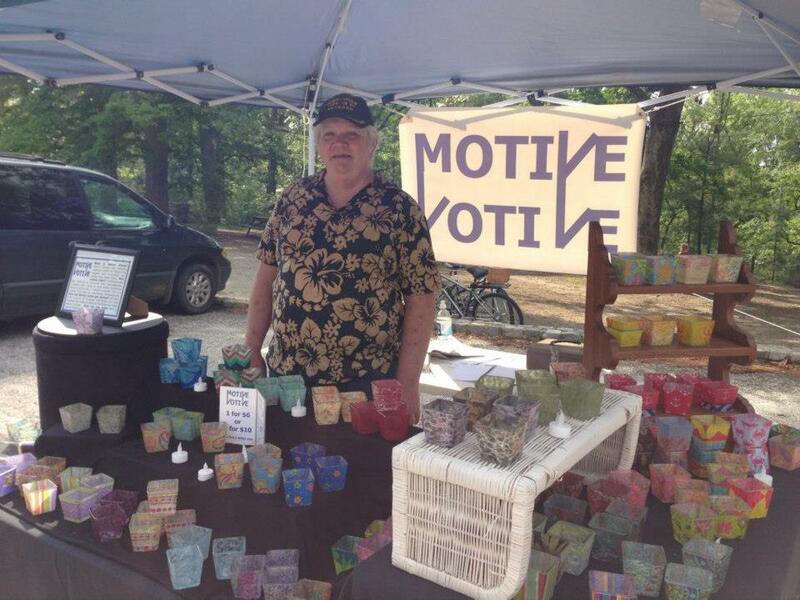 We have several candle makers at SOTJ, but we have only one candle-holder-maker, and that would be Motive Votive, a new vendor to our market. 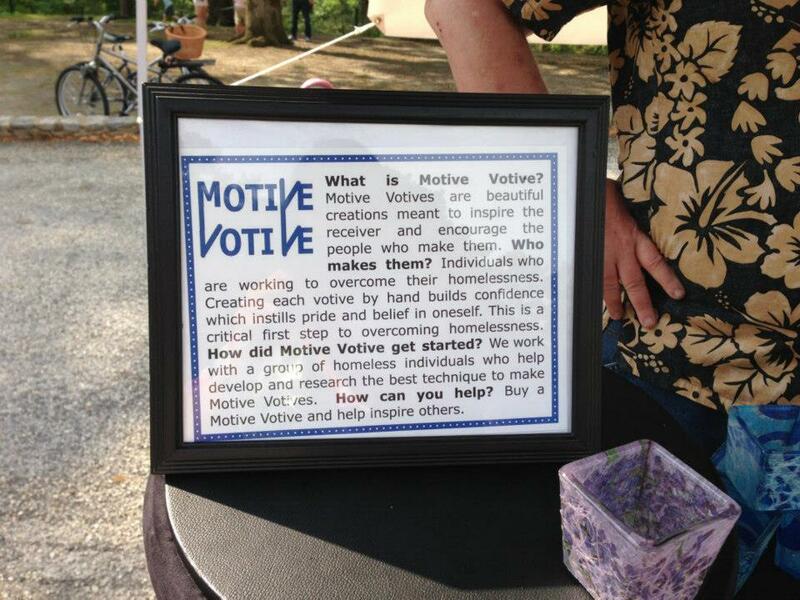 Motive Votive’s business model is unique – they employ homeless individuals to make the votives they sell, creating jobs and confidence for a workforce that often can find neither. Motive Votive creates beautiful, unique votive candle holders. They are a part-time vendor, and they will be at the market this weekend, so check them out and grab some votives, tuck a few away, and give them as gifts – you’ll be helping folks who need a little extra support when you do! We really want to spread the word about this awesome business. Like, Share, or Comment on this post on Facebook, and you’ll be entered to win a set of 4 votives. We’ll announce the winner tonight at 9pm on Facebook! Illuminating Innovations is the company name. The main product (for now) is Motive Votives. These are hand-made decorative candle holders made by individuals who are homeless. We use a layered-paper process to decorate the votives. The makers receive money from their sales and additional proceeds go into innovative programs for those who are homeless. Right now, our votives are our only item, but we plan to introduce large candles and eventually vases made into lamps. We became official in the summer of 2011. Many people are surprised to see the artisanship of the candle holders given that they are made by homeless individuals. I’ve only participated once so far, so I haven’t had a chance to do this yet. One of the best parts about doing a local show is that some of the individuals who make these are at the show the help sell our Motive Votives.